BOWIE, Md.– The last of our ballpark stops featured the least exciting assortment of food – or so we thought. Luckily, we were proved wrong. 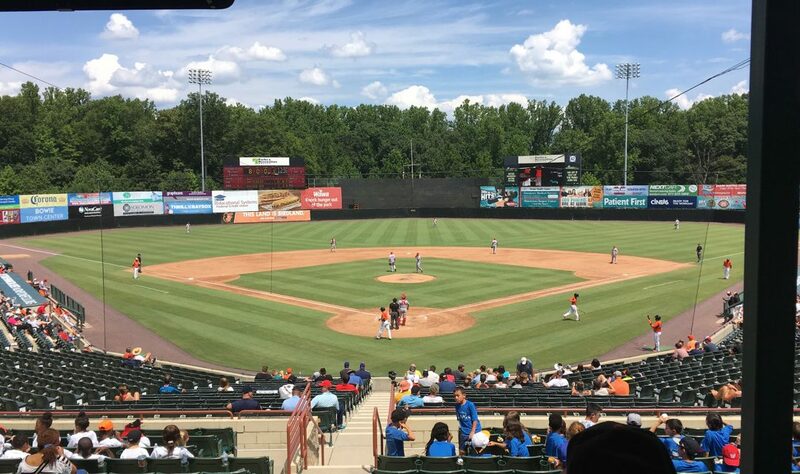 After a day of trying the only two noteworthy items, it appeared that the Bowie Baysox were a well-run organization lacking only creativity in their ballpark menu items, but we were wrong. 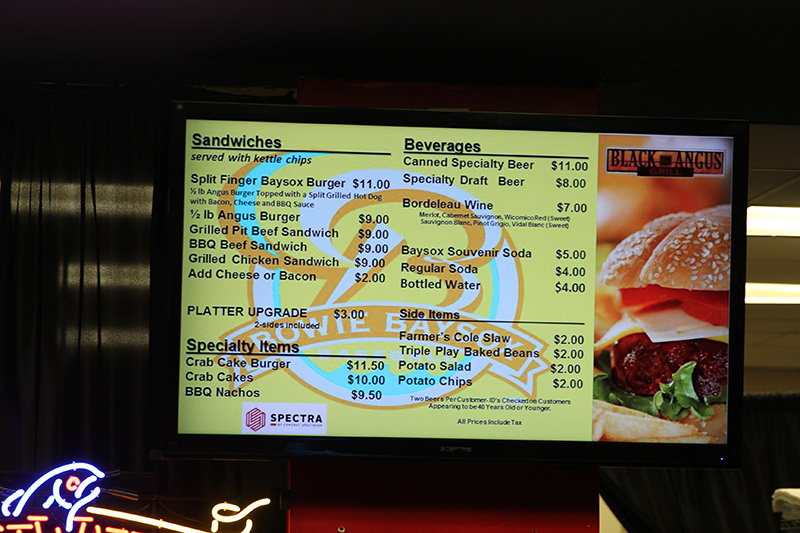 The next day, the Black Angus Grille, closed the day before, was open and offering its Split Finger Baysox Burger was available. “A half-pound burger topped with a split-grilled hot dog with bacon, cheese and barbecue sauce,” the menu reads. 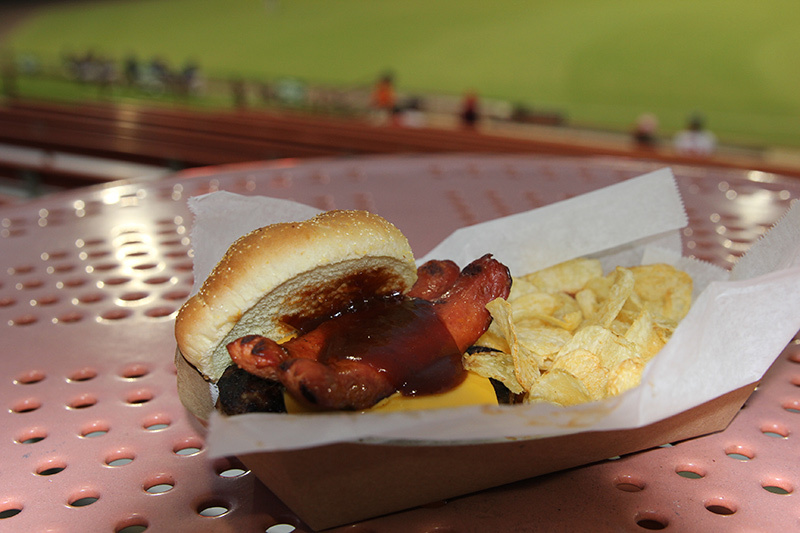 Although a hefty meal, the burger and all its toppings fit together nicely, in what becomes a perfect amalgam of ballpark food. As for day one, the Chicken & Waffle Cone sounded better than it tasted. 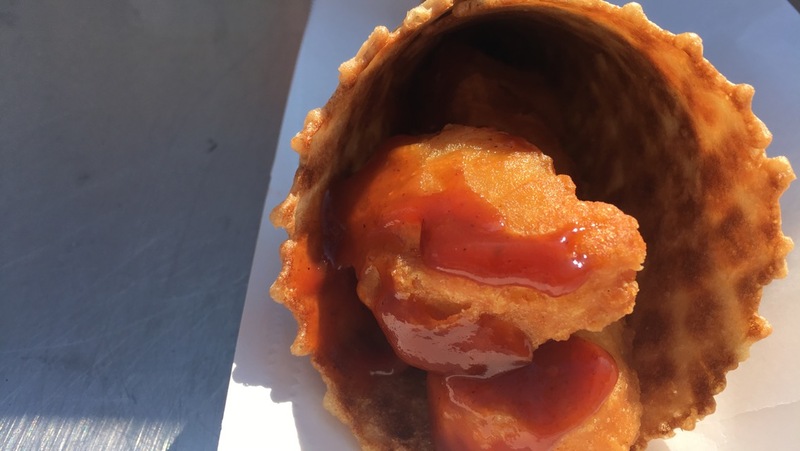 It ended up being what looked like three McDonald’s Chicken McNuggets sprinkled with barbecue sauce, and shoved into a waffle cone. Not terrible, but certainly lacking the creativity the title suggests. 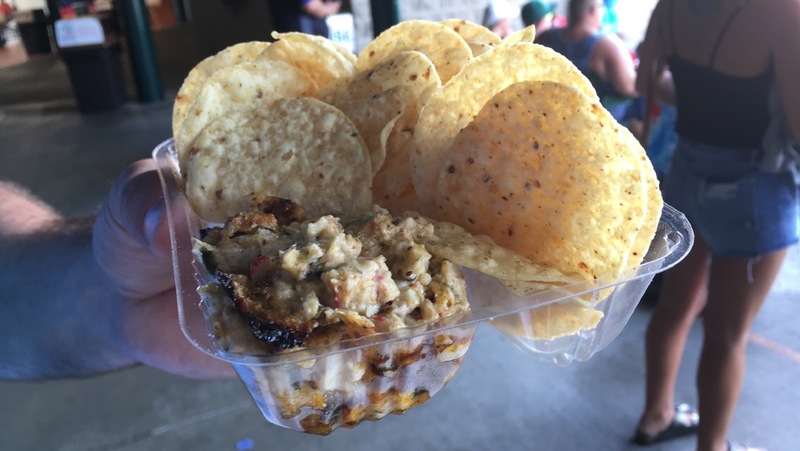 But the Baysox Crab Dip & Chips was a nice fixture. Anytime Maryland crab is available, it’s necessary to give it a try. The dip was tasty, and a surprisingly light snack. For Bowie, the sparse selection of nontraditional food is picked up by a faithful crowd and excellent staff, who come up with ideas like changing the pronunciation of Bowie to match the pronunciation of David Bowie’s last name in honor of his death last year. 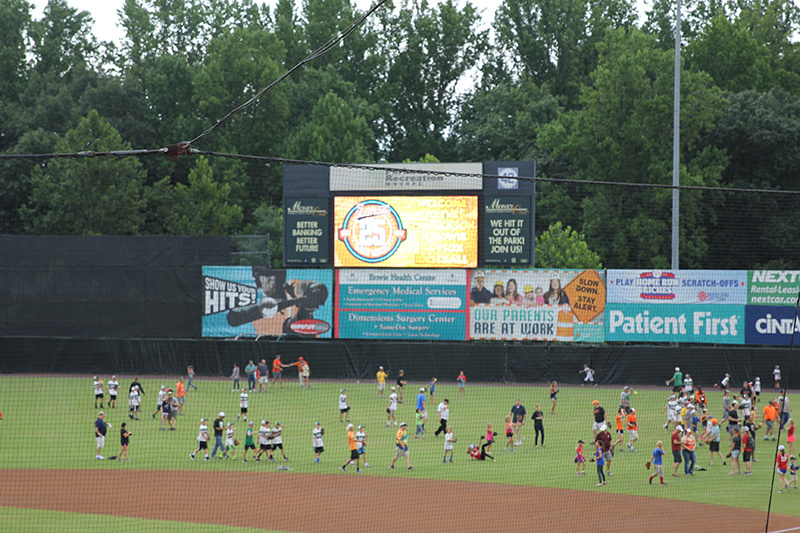 Additionally, the Baysox held a heartwarming onfield father-daughter game of catch event prior to their Aug. 11 game. Bowie doesn’t have a wide selection of interesting food, but they have the basics (hot dog, nachos, ice cream) and they do them well. And the extravagant burger is a winner. 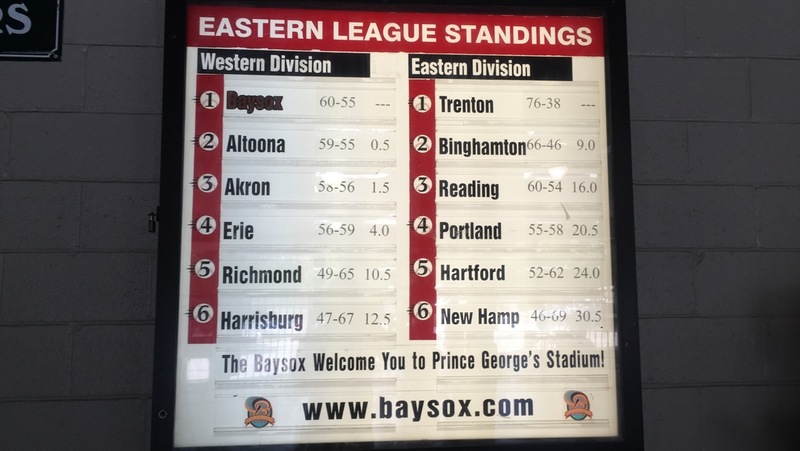 Add in the friendly staff and unique events, and the Baysox are rewarded with an eight on a 10-point scale.